There’s a cozy, inviting atmosphere breweries offer that bars just can’t provide. Another thing they offer is quality, fresh brews, many times including local varieties that you will be hard put to find elsewhere. Whether you’re looking to grab a cold beer to cool down or a place to sit down for a while and warm up, here are the main two Big Bear Lake Breweries where you can sip some suds. Once you satiate your thirst, you may be in search of food, or something else to do. Download our complimentary Vacation Guide for instant access to recommendations for great restaurants, things to do, and more! Big Bear Lake Brewing Company’s expertise is wide-reaching; whether you are in search of an excellent meal, a tasty craft cocktail, or refreshing beer, you can expect it to be fantastic. This craft brewery and gastropub serves Big Bear every day of the week at its location in the Village. The atmosphere here is friendly, kids are welcome, and there is a dog-friendly patio where you can enjoy the fresh mountain air. A flight is a good way to taste the different beers that are on tap, which include ample local offerings. If you come with an appetite, be sure to try something off of the menu! Their signature avocado bomb appetizer consistently gets raving reviews, and the menu has a long list of equally fantastic options. Big Bear Lake Brewing Company also has something going on just about every week, which completes the brewery experience. From concerts to celebrations, their events calendar is filled with a variety of entertainment. Big Bear Mountain Brewery is Big Bear’s original craft brewhouse and has been in operation for almost two decades. The laid-back brewery is cozy and inviting with warm lighting and burnished, gleaming wood creating a rustic feel. This feeling is authentic, as the building was a Masonic Lodge from 1925 to 1968, and still has the original bar on site and stained glass windows in the brewery room. 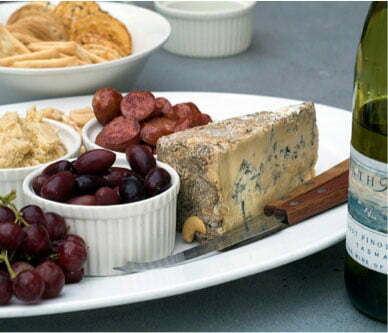 Pair a beer with some classic pub fare from Big Bear Mountain Brewery’s menu and relax at the bar or one of the tables. If you’re not sure which beer from their selection of microbrews to try, their Red Ale is a local favorite. Big Bear Mountain Brewery also has live music from local musicians on weekends. 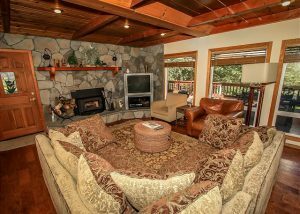 You’ll have it all when you stay in a Big Bear Lakefront Cabin: comfort, stunning views, and great locations close to town, the lake, and ski resorts. If you just want a relaxing vacation, our cabins are more than equipped for that purpose. Relax in front of a cozy fireplace, or soak in a soothing hot tub outside on your deck as you breathe in the mountain air and take in the sights of the surrounding landscape. If you want to experience many different things while here, you’ll be nearby all the top attractions. 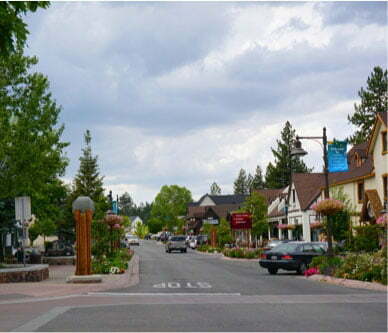 Head to the Village for a brew or to eat at one of Big Bear’s restaurants. 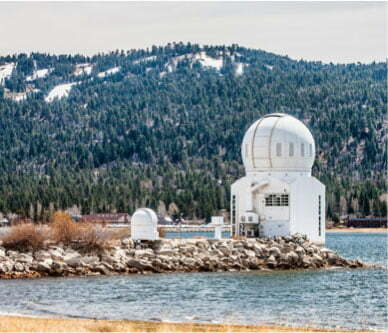 Lace up your boots and explore the scenic trails that crisscross Big Bear. Head down to the lake or up to the slopes, depending on when you visit. It’s all up to you! We have lakefront cabins, cabins with views of the ski slopes, pet-friendly cabins, and more. 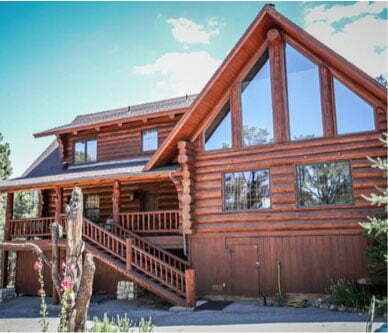 Take a look at our top-notch cabins, and book your stay in Big Bear today!